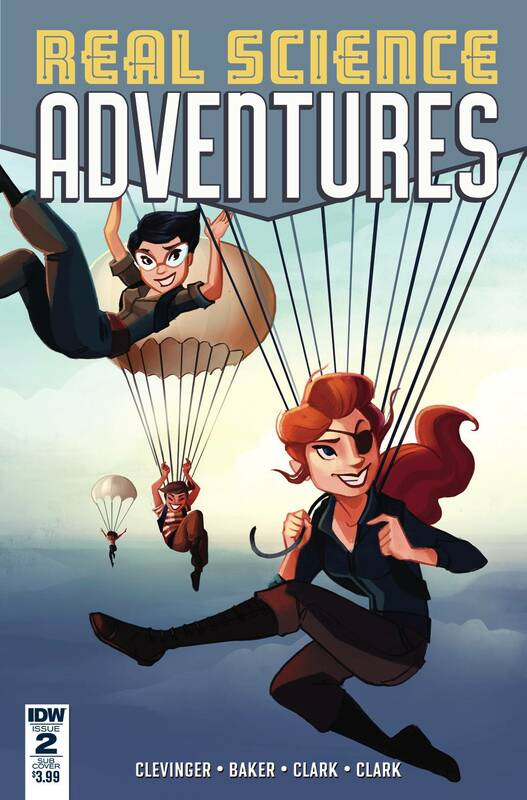 The Flying She-Devils get into a real adventure with science plus action! Hoo-boy! Golly-gee! Plus, the Sparrow infiltrates a top-secret Nazi weapon station. It all continues in this book! Bullet points: From the pages of Atomic Robo, the Flying She-Devils embark on a new daring adventure! The spinoff story to the online sensation-in print for the first time!